Located A Short Walk Away From Solihull Town Centre You Will Find This Fantasic Three Double Bedroom Town House Affording Spacious Accommodation Throughout Over Three Floors With The Added Benefit Of Pleasant Views Over Solihull School Playing Fields. 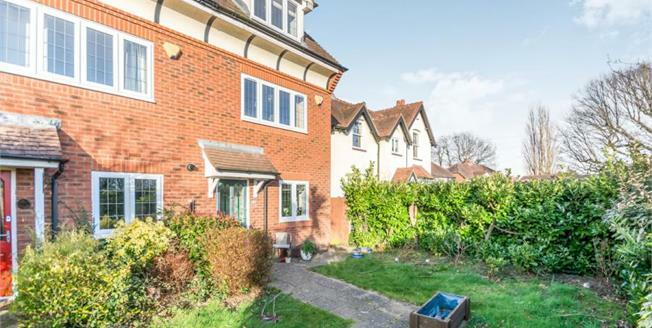 Internally The Property Benefits From; A Welcoming Entrance Hallway, A recently Re-Fitted High Specifiction Kitchen, Family Lounge Which Opens Onto The Conservatory & a Guest W.C. To The First Floor; Two Double Bedrooms Both With Fitted Wardrobes And A Jack & Jill Bathroom. The Second Floor Provides The Master Suite With A Dual Aspect, Dressing Area And En-Suite Shower Room. Externally The Property Benefits From A Professionally Landscaped Rear Garden, Two Parking Spaces And A Garage.